In general, people tend to think that FFS surgery expectations are only related to the outcomes of surgery. However, they may sometimes be based on ideas of how life will be different with a more feminine face. The function of these assumptions is to motivate us, beneficial if the expectations of facial feminization surgery results are realistic. Unfortunately, such hopes are misleading if based upon unrealistic expectations. Do I have realistic FFS Surgery expectations? When we talk about unrealistic projections, we refer to those thoughts that lead us erroneously to believe that all and any problems we have after the operation will suddenly disappear. Take, for example, ultimatums such as “everyone will treat me well” and demands such as “an immediate increase in self-esteem” or to finally achieve long-desired happiness – these are presumptions that really have nothing to do with the facial surgery itself yet with external factors we cannot control. It is easy to imagine that the people who treat us badly or misgender us will then see us as more feminine, so the problem will be gone. Also, you may presume that when you look in the mirror once healed, you won´t recognize any trace of the former face with which you did not identify with. These are also examples of unrealistic FFS surgery expectations. By general rule, what is achieved with facial gender confirming surgery is to feminize the face by softening the masculine traits. As a consequence of this gender affirming surgery, well-being and quality of life may indeed increase. You should perceive that the face is more in line with your self-image. 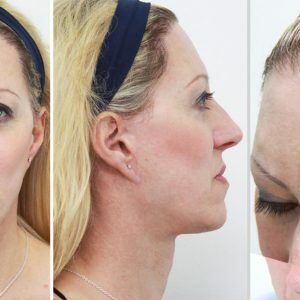 Nonetheless, what cannot be expected of facial feminising surgery is that other vital goals in life will be achieved that have nothing to do with the results of the surgery. 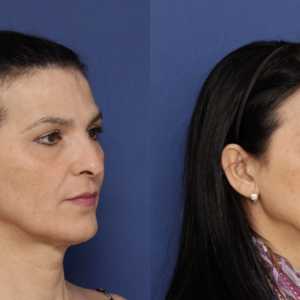 With feminizing surgery we change our physical features, but it is up to each patient to personally work on the emotional circumstances that may impede us from appreciating the positive changes of the feminisation surgery. Other obstacles to satisfaction with results may include an obsession with looking for every minuscule masculine trait, demanding unnatural perfection or the unfounded fear that people always are “clocking” or judging you. 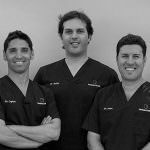 In conclusion, if you harbour unrealistic expectations of the FFS surgery, it is more likely that you will not be satisfied with the results since they will not align with your preconceived ideas of the benefits. It takes time and effort to develop realistic and healthy FFS surgery expectations. We must be aware of how far the surgery can go and recognize the limitations of the base from which each patient departs (physically speaking). It is in the hands of each individual to alter their personal and emotional perspectives, although softening facial features helps many, it is only one of the many factors involved.